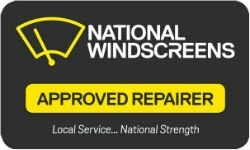 If you require windscreen replacement or repair in Margaret River, you can trust National Windscreens to provide the assistance you need. We offer various mobile car window services, including windscreen repair and replacement, sunroof repair and car window tinting in Margaret River. We can additionally assist locals in the surrounding areas of Prevelly, Gnarabup, Witchcliffe, Rosa Glenn and Rosa Brook. No matter what mobile car window services you need, you can rely on us to get you on your way again as soon as possible. At National Windscreens, we’re dedicated to providing personalised customer service and an unparalleled level of workmanship and attention to detail to ensure your vehicle is completely safe and roadworthy. We also have accredited memberships with the Auto Glass Association and the National Windscreen Group, making us a leading choice for windshield repair and emergency windscreen replacement in Margaret River. In addition, we pride ourselves on continually building on our knowledge and experience when it comes to windscreen replacement and windscreen chip repair. Call on the team at National Windscreens when you need professional windscreen replacement or windscreen repair in Margaret River. Contact us by calling 1300 36 36 32 to learn more, or book online quickly and easily.